It takes a village to get him/her back to school, too. As parents we rely on one another to raise our children. We rely on friends to help with carpool, babysitting, keeping up with what’s due when, cheering on the soccer sidelines and so much more. I have an awesome village with my friends. We need to think outside of our immediate “village.” There are children who need our hands in their village. 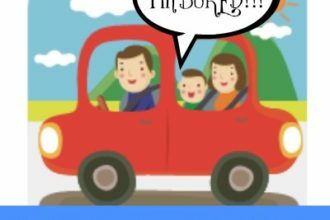 While we may not be able to drive carpool or pick up the sick kid that is not in our immediate village, we can certainly provide physical items that will help him/her with his/her day to day. This year as you stop by the stores to pick up the pencils, rulers, notebooks, scissors, hand sanitizer (Purell) and other school supplies, pick up some extras for your extended village. Drop off the items at a school, church or organization that will get those items directly into the hands of a child. Your village will be bigger. You will be helping a mom that is now in your village whom you may never meet with her child. You will have done well and feel great. My 7 year old is certainly old enough to understand that we all are AND aren’t the same. We are similar in so many ways but we are also different. We speak the same or speak differently. We eat the same or eat differently. The one thing we all do the same is love and accept love. This back to school season I shared how to show love to our village. Not the city we live in but the community in and around that is in most need. We headed out to a local office supply store and filled our carts with tons of crayons, composition books, pencils, markers, PURELL® Advanced Hand Sanitizer and glue. She was so excited to go shopping for kids. 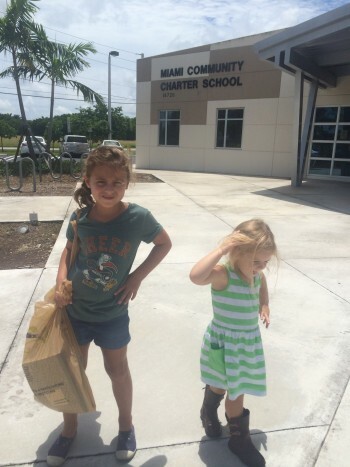 We payed for the school supplies and drove to Miami Community Charter School in Florida City. We carefully carried large bags full of all sorts of supplies into the school building. With a great smile on her face, my oldest daughter handed over the bag of supplies to the the school. They were very thankful and I could instantly see the look of satisfaction on her face. She had done something great for somebody else. Priceless. We are all part of a great big village. We all raise the village no matter where or who they are. I encourage you to involve your own family to lend a hand to a village member in need. See below for details on putting together a donation for a local organization. Starting the school year off on the right foot is important to every child, but for the millions of American children who live in poverty, they simply do not have that luxury. PURELL® Hand Sanitizer is partnering with Champions for Kids and WalMart to ensure students have the supplies they need as they head back to school with the PURELL® Lend a Hand Program. 1. GATHER your family, friends, and neighbors for a Lend a Hand Project! Ask guests to bring items kids need in the classroom: pencils, paper, crayons, folders, hand sanitizer, wipes, and tissues. You could even assemble kits for classrooms or individual students! 2. LEARN about the needs of children in your community and ways you can help. How can you share your time or resources? 4. SHARE your project at championsforkids.org/share. How many people were involved, and how many items did you collect? This post is sponsored by PURELL® Advanced Hand Sanitizer. Be sure to include PURELL® Advanced Hand Sanitizer in all your back to school purchases. Hand hygiene is so important to keep our village healthy this school year. We keep one attached to lunchboxes, in my bag and in the car! 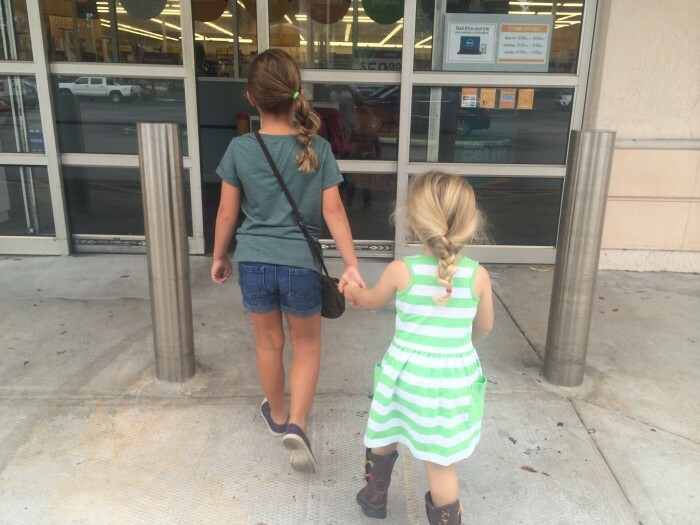 First thing my kids do when they get in the car from school is receive a squeeze of PURELL® Advanced Hand Sanitizer! Let’s bring the books home not the germs! It takes a village to raise a child. It takes a village to get him/her back to school, too. An incredible lesson to teach your children. I love this project. Nice work! Sounds like a good plan. 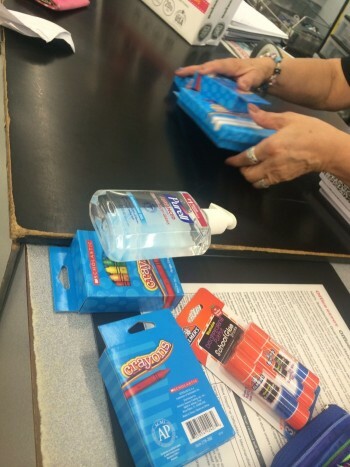 We should pick up some extra school supplies for our schools. Looks like another trip to Target in the future.